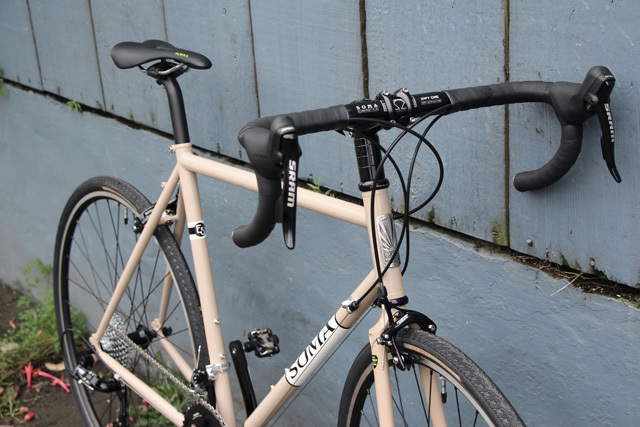 Guido built his Double Cross from a mix of old and new parts and it is beautiful. 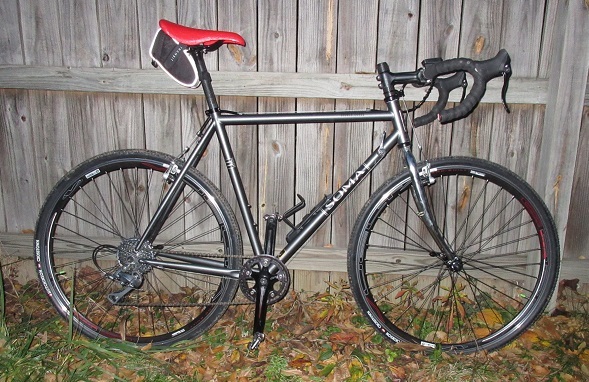 He went with a 1x8 drivetrain with a 36t front x 11-32 in the back with a downtube shifter. A simple versatile set up that is working well for him. 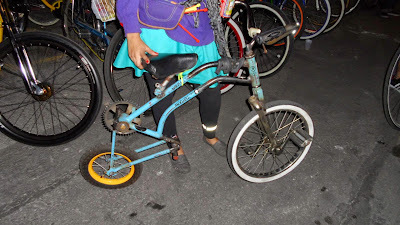 Even though 1x drivetrains did not hit mainstream until we nailed down good shifting 10 and 11 speed cassettes, some folks are more fine with fewer cogs in the back. IRD recently release 12-40 9-speed and 13-40t 8-speed cassettes for those want to maintain some simplicity. 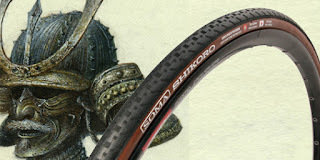 Bicycle Times Magazine is giving away a pair of our fast and tough Shikoro's in their weekly Give-away Contest. Definitely better chances to win than Fantasy Football or the state lottery. 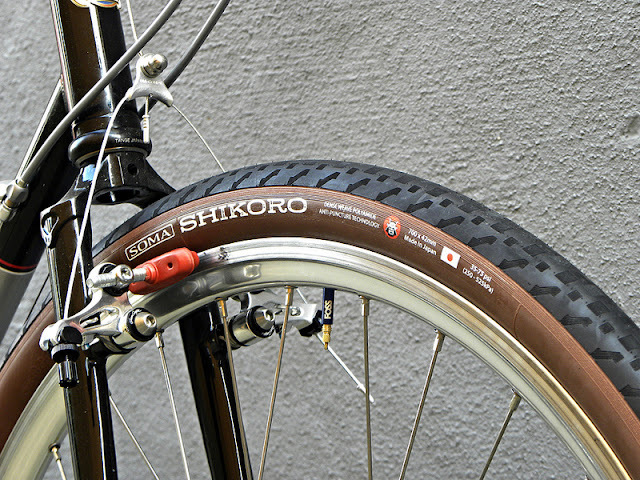 The Shikoro is awesome for training, touring, commuting, and even light gravel and is very supple riding for an armored tire. Distributor Merry Sales is already out our first run of Shikoro (folding bead) in 3 sizes, so it might take a couple of months for us to get the winner their booty, if they choose one of those sizes. "Shikoro" is the Japanese term for the neckguard on the back of a samurai helmet. Contest ends Dec. 9. Good luck! [Updated with Feb. 2018] We get a lot of questions whether our 700c (or 26") wheel frames can be converted to 650b/27.5" tire size and what would the maximum tire width they can use, if it is possible. So we thought it would be nice to make a post covering this over our current line. The Double Cross Disc makes a great 650b conversion project. It's bottom bracket height is about the sames as our Grand Randonneur 650b frame, which means you can swap in 650b tires as narrow as 33mm and not worry about pedal strike while road riding. For light off-roading we'd recommend using tires 38mm to 45mm. You won't be gaining much in tire clearance as the Double Cross already fits 700 x 42c; maybe 3 - 5mm more. What you will gain is the ability to run fenders with 650b x 42 tires and more stable handling because of the lower bottom bracket. But a lower bottom bracket also means you need to be more careful about pedal strike on dirt trails. Nearly any 700c disc brake bike can be used for a 650b conversion project. The Wolverine is no exception; however in our opinion there is very few compelling reasons to do. The larger Buena Vista sizes are designed for 700c wheels: You would need to swap in 73mm reach brake like the Tektro R-559 or Dia-Compe 750's. 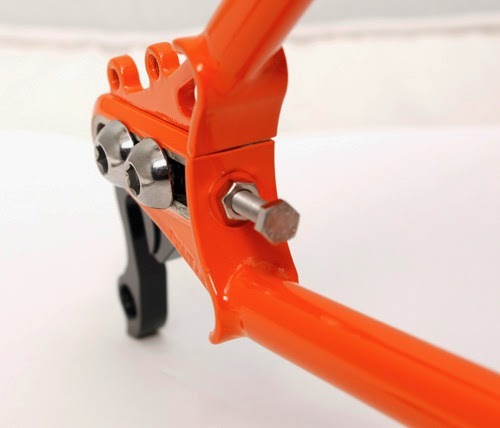 The frame has a low bottom bracket height to begin width, so stick with 42mm wide tires to avoid pedal strike or just learn to check your pedal position when cornering. 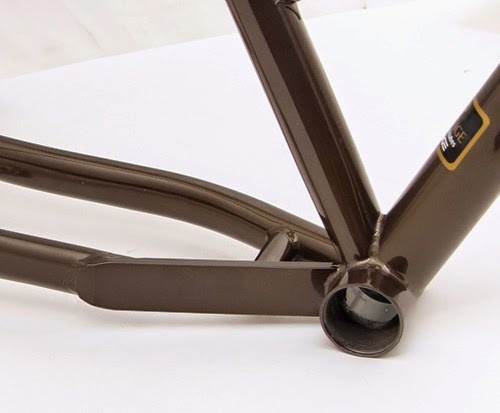 We don't recommend converting the 700c models, because it will lower the bottom bracket height too much to ride safely. For the 26" wheel model, it is quite doable without much consequence. A 26" x 1.95 tire has almost the same diameter as a 650b x 42b. However running a 650b x 1.95" knobby will definitely take away the possibility of using fenders. You can swap in 650b wheels on any disc brake 29er, but there isn't a compelling reason, except maybe you want a lower bottom bracket for road/commuter use. 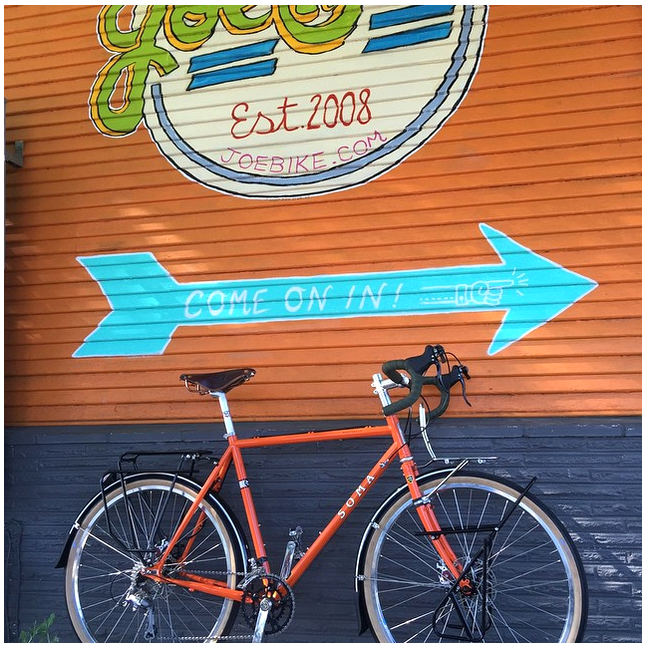 But your center of gravity will still not be as road-optimal as on our our Grand Randonneur frame or CX frames. As of 2015, the Juice does not have clearance for a 27.5+ (i.e. 27.5 x 3.0" tires) conversion. There isn't enough clearance for 38mm wide tires. You might fit 33mm tires, but in our opinion there isn't compelling reason to convert it. 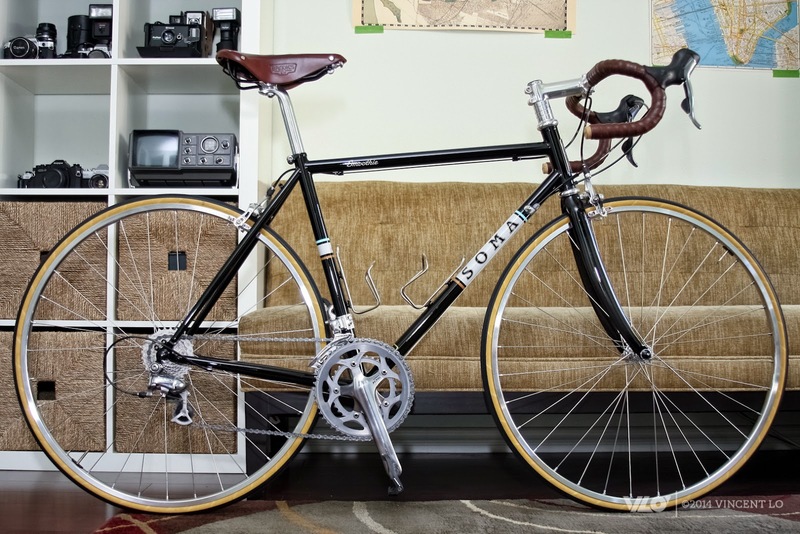 Bottom bracket won't be high enough to run this as a fixed gear after conversion. 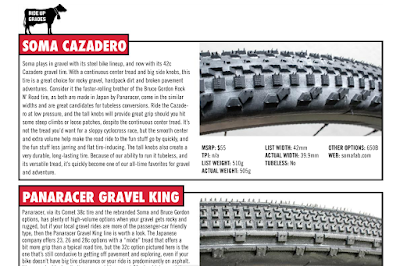 Here's a short and to the point review of the Soma Cazadero tires out of Cyclo-cross Magazine. Click on the image to read the whole thing. Glad to hear it is one of their "all time favorites for gravel and adventure" even though we are aware gravel is still in its infancy. We hope the Cazes live up to that statement over the years. Cazaderos come in both blackwall and skinwall, 700c or 650b. 42mm width only (1.65"). This is an excerpt of a review by Ride On for the ES complete bike built with SRAM Apex shifters and derailleurs, Sugino Alpina 50-34t cranks and Suzue wheels. ... It can be run very light, but I had it set up touring style with racks and mudguard. These accessories were no impediment to this feisty machine....Smooth speed is the natural expression of this bike... ES stands for "extra smooth" and derives from Soma Smoothie road bike...The smooth description however can only be relative to an out-and-out racing bike -- all day comfort on this machine is somewhat traded for thrills compared to the laid back randonneurs of this rider's experience. We are excited to introduce the Shikoro and Supple Vitesse 700c road clincher tires. Both come in widths that serve categories from racing and raining to touring and commuting (23, 28, 33, 38, 42c). Both utilize a mostly smooth all-road tread pattern and a High Mileage high carbon rubber compound. 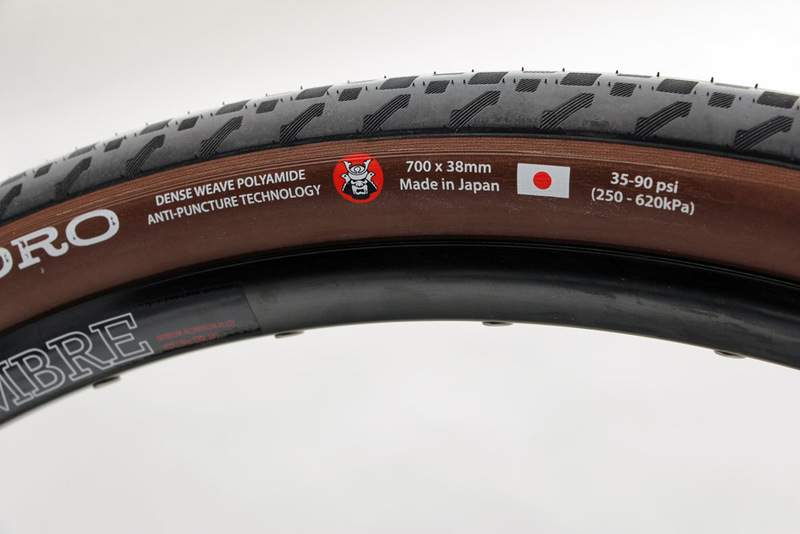 And as usual, we've tapped Panaracer's Japanese factories to produce these for us to ensure a high quality product. 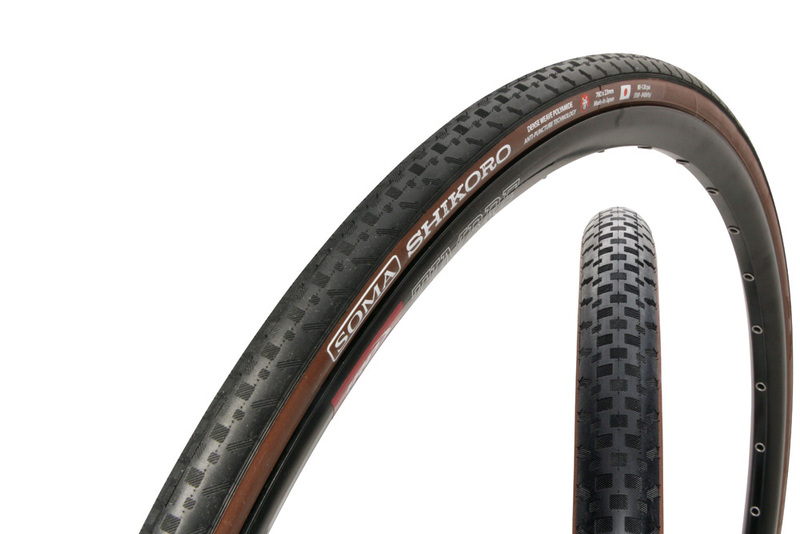 The Shikoro is aimed at a wide range of riders that value efficient and comfortable road performance with durability and robust puncture protection. The bead-to-bead Dense Weave Polyamide breaker provides protection against both tread punctures and sidewall cuts. It offers better protection than the Hypertex casing used on our New Xpress tires and smoother ride quality. 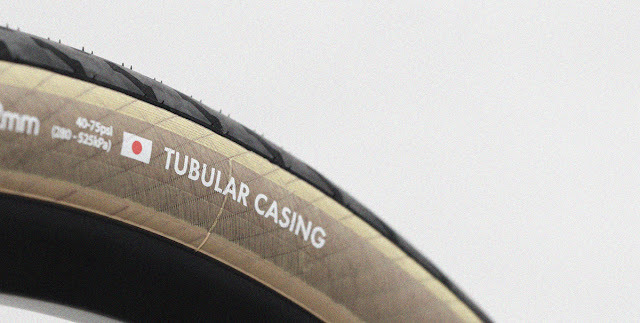 The tri-layer 4HD casing offers a nice balance of low rolling resistance and rigid support needed in cornering. We anticipate the Shikoro will be pressed into service for mostly training, club rides, and gritty commutes, but won't be surprised to see folks using them on gravel races where there's a lot of pavement. Available in folding and steel bead. Soma Shikoro (700x28c shown): "Shikoro" is the term for the neckguard on a samurai helmet. 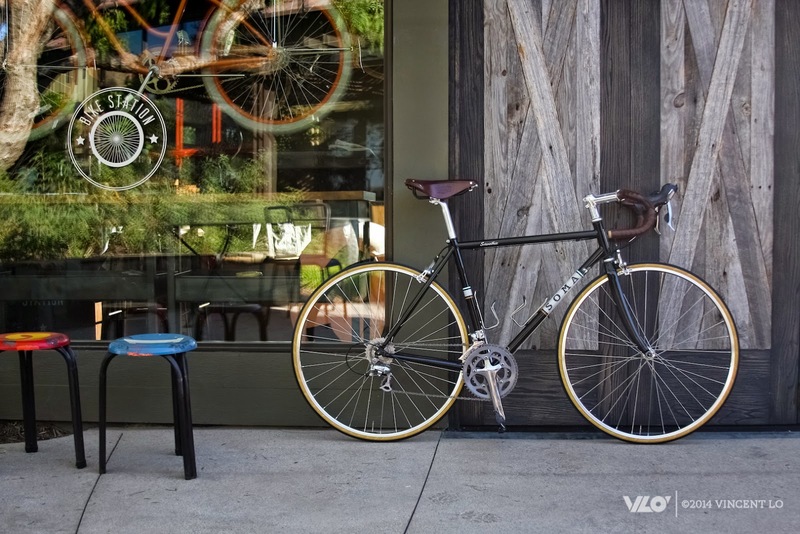 The Supple Vitesse is aimed at cyclists valuing a premium ride quality above all else. The heart of this tire is it supple tubular casing, which offers a high level of vibration absorption and road feel, plus very low rolling resistance. You will find the wider tires to be remarkably plush, but not slow at all. 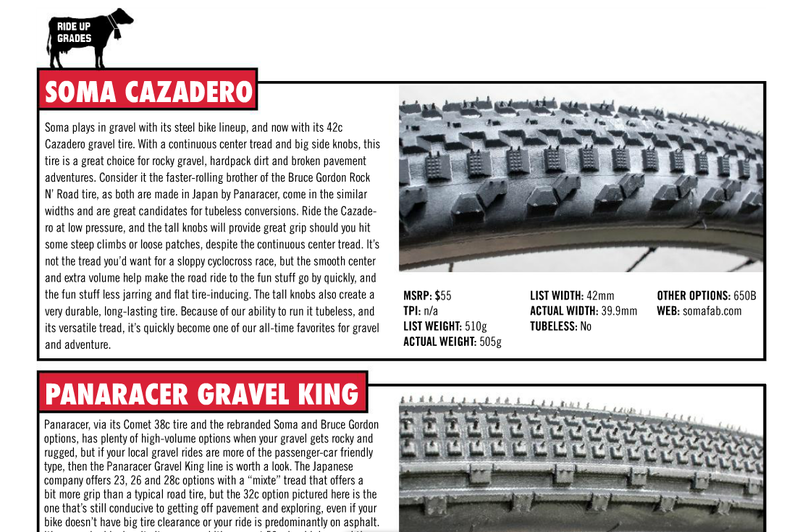 And discerning riders should notice the narrower models will be as fast and positive feeling as high end tires marketed specifically for racing. We offer an SL (superlight) model as well as an EX model, which has a thicker tread for longer tire life. Skinwall and folding bead only. 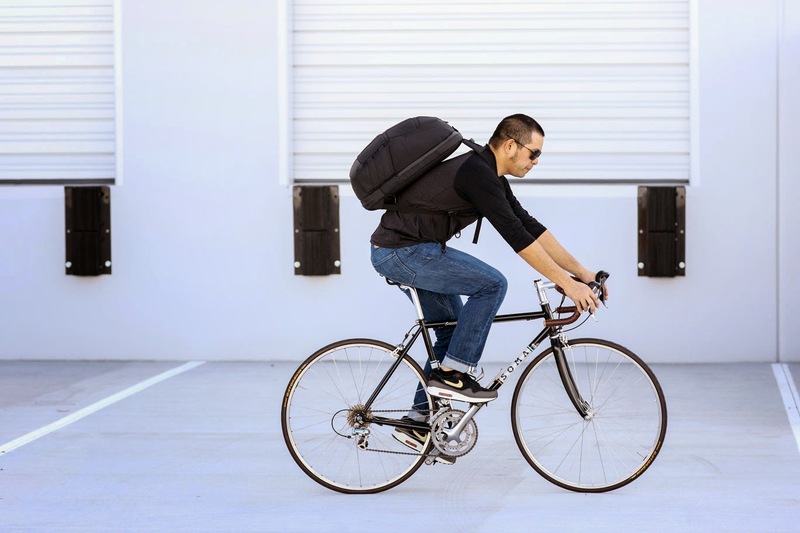 A lightweight tubular casing offers the supple speedy ride of a tubular – but in a clincher design. 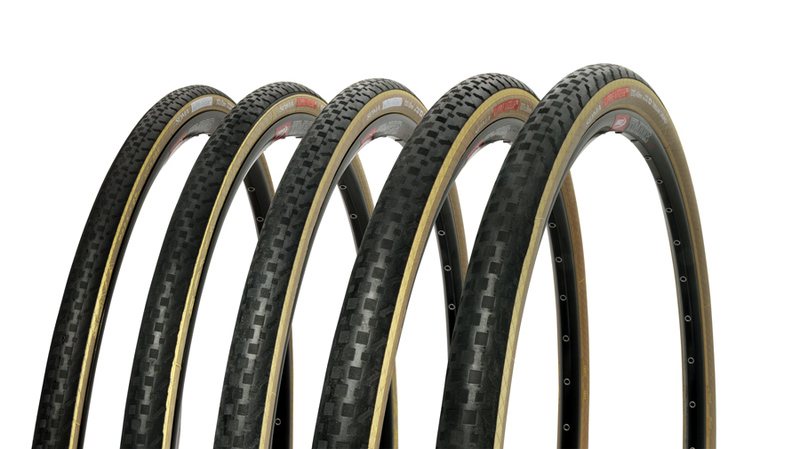 Five sizes and two tread thicknesses to suit a variety of riding needs. but it will get angry if you ask about its TPI. 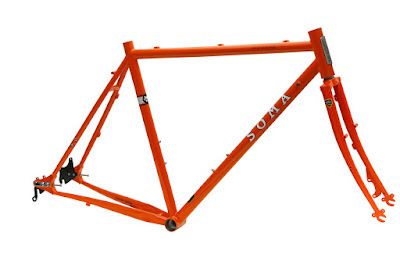 We've been offering our Soma ES road sport frame in a super large 66cm size for many years now. Last year we started offering a 66cm in our Double Cross Disc and our Buena Vista mixte frame in a 62cm. We may only sell 10 per year of each, but still love offering this option, because there are frustratingly few choices for taller persons. In 2016, we will expand their choices by offering a 66cm size in our Smoothie road race frame and our Saga touring frame. Spread the word. Gravel, schmavel! Here's a race that will really take your breath away. The event is part of the Warren County Farmer's Fair and Hot Air Balloon Festival. The premise is fairly simple. Bicyclists and balloonists pair up to compete against other teams. Participating pilots launch with a bike and bicyclist. After flying for a predetermined distance or amount of time, the pilot will land and let the bicyclist out, who then must cycle back to the Fairgrounds. The team who returns to the Fairgrounds first wins a cash prize. This year the proceeds went to Adopt a Soldier Platoon. 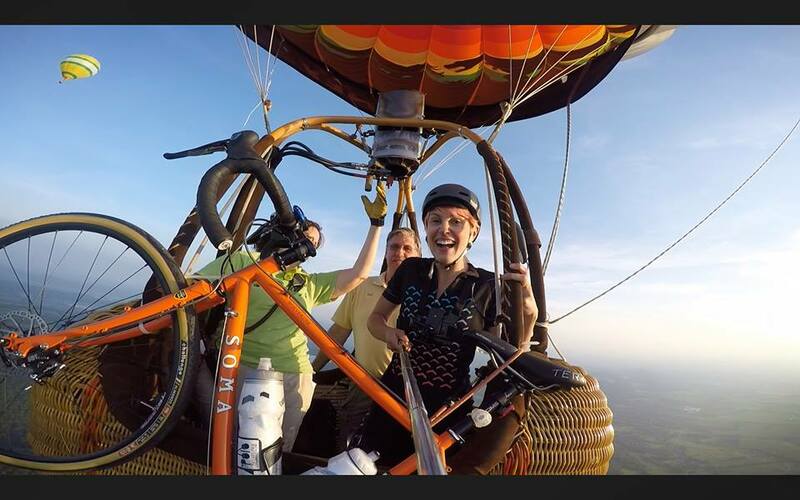 Meesh (riding her new Soma Wolverine) and Tracy (the balloon pilot) were able to raise over $5000 for the charity. Congrats on a job well done! "Where Are Them Wolverines At?!!" One of Joe Bike's favorite Wolverine builds so far. 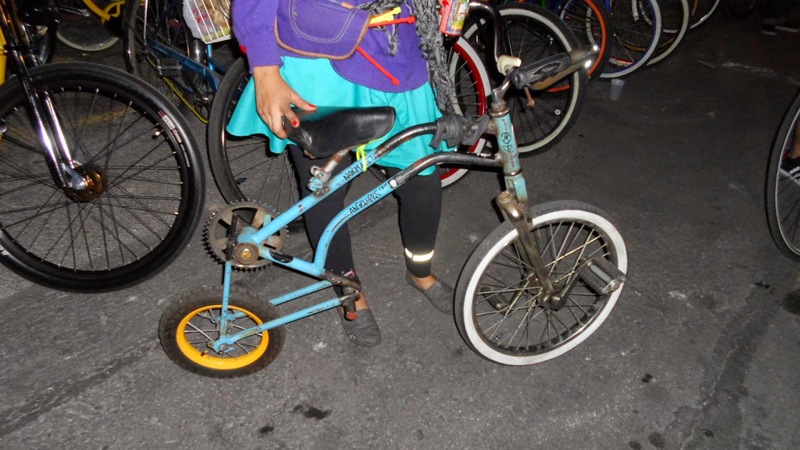 With Genavalle shifter and three racks. How's everyone's summer going. I know some of you were hoping to be smiling and perched one of these tasty pumpkin orange beauties --- maybe with dirt drops and monster cross tires or a belt drive and panniers. We apologize for that. We are doing our best to supply demand. We did get two shipments in this month and hopefully by next week we will have sent out 200 of these to shops and distributors. We have suspended our sales on our online shop until we catch up with backorders, which hopefully will be achieved with our mid-August container. For those still waiting, thank you for your patience! Updated version with split seatstay. If you've done your share of centuries, you know you get all types of bikes at these events – carbon race bikes, recumbents, hybrids, fixed gears, even cruisers – which goes to show that as long as you are comfortable on the bike, it does not matter what type of bike you use. In long distance riding, everyone seems to be a little different, both physically and mentally. You need something that fits, and something that does what you want it to do, too. Some want to sprint, some want to use a steady cadence, and some change their minds all the time and just ride according to how they feel. If you are fit enough and motivated enough to ride one of Soma Rush track bikes with deep drop bars on a double century, more power to you! But if you are interested in finishing those 100 miles reasonably fast and also feeling fresh enough at the end to enjoy the after-event festivities, the best bike for centuries from our line is the ES model, because it offers the best balance of benefits for long distance road events. The ES is our "road sport" or "audax"(as the Brits call it) model. It also falls into the recently coined "Endurance Road" category. 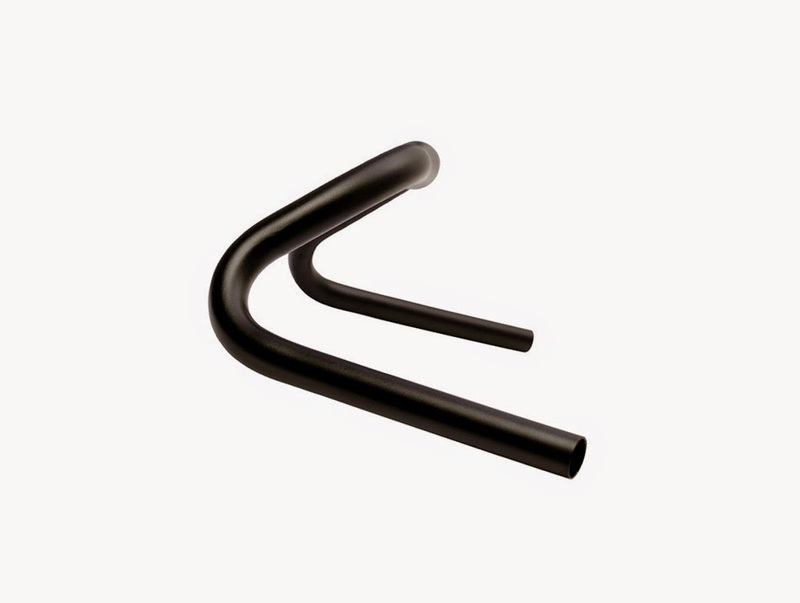 COMFORT with EFFICIENCY: It is double butted chromoly steel instead of carbon or aluminum. Carbon at our pricepoint is likely to be overly stiff. 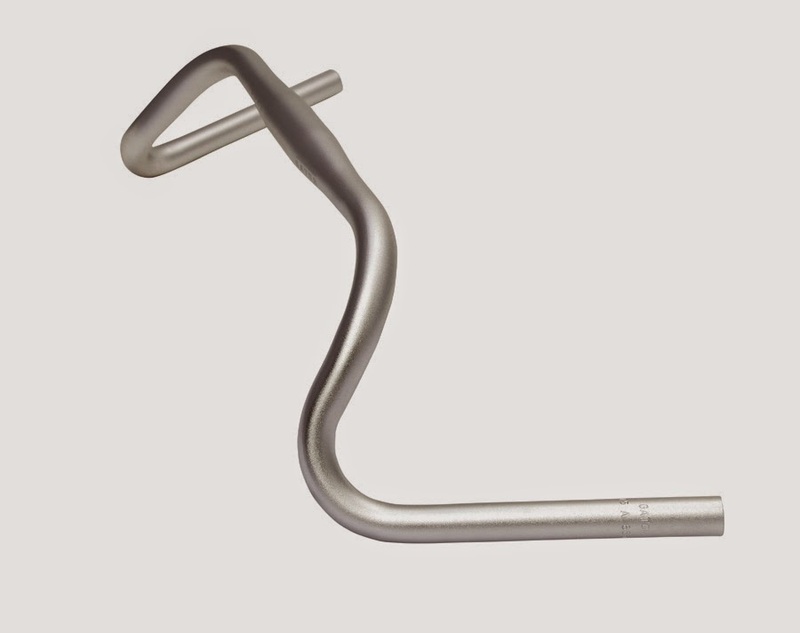 Comparably priced aluminum transmits a lot of road vibrations which fatigue the muscles. 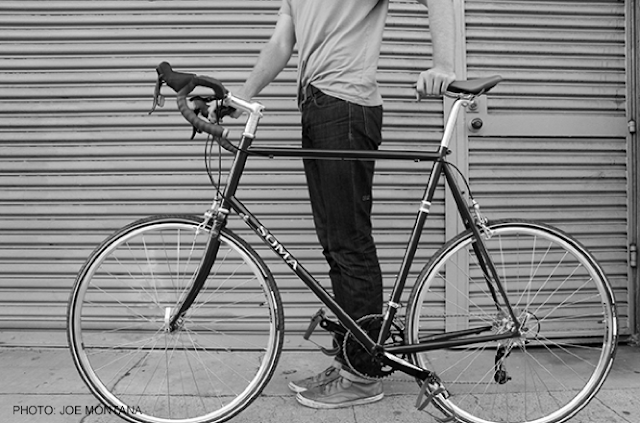 A quality steel bike smooths out road vibrations. A good endurance road carbon bike can do a decent job at that, too, but the price tag for one of those will be much higher. The ES also fits medium width tires. Most road bikes (even entry level) barely fit 26c wide tires, which is lame, since wider tires offer more cushion and shock absorption and handle rougher roads better. Centuries and fondos are not usually on the smoothest tarmac. The ES fits up to 700x32c tires, which is a size most folks in the know says offer noticeable comfort without compromising rolling efficiency. 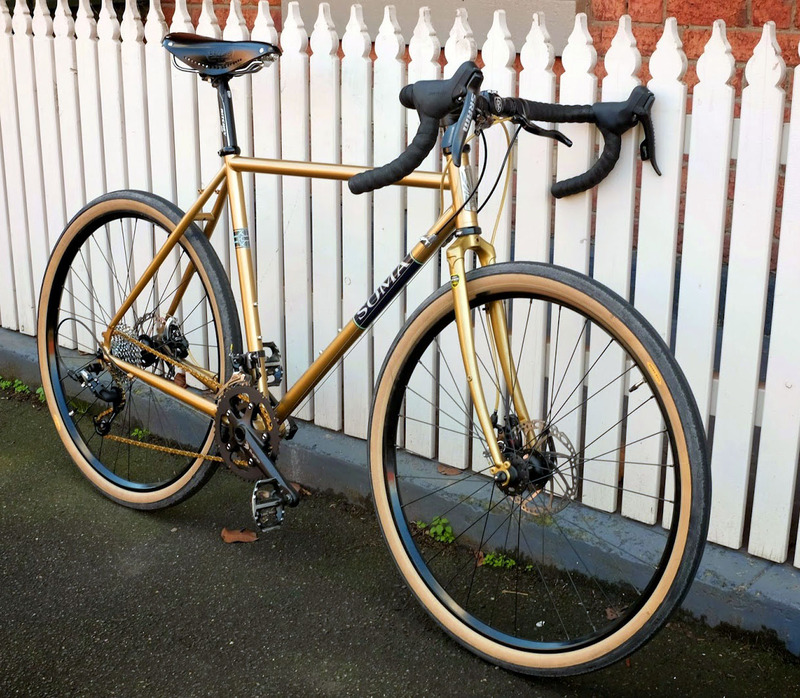 Cyclocross bikes like our Double Cross can also fit wider tires, but have a taller bottom bracket height, so the ES edges it out in the stability and road handling department. STABILITY with SPEED: The ES geometry is optimized for non-competitive long distance rides. A bike with race geometry may excel at maneuvering around the competition, but its quick steering makes it more difficult to go in a straight line without more course correction from the rider. (i.e. more difficult to ride in a relaxed manner). The ES has a medium length chainstay and wheelbase for sporty, but not twitchy handling. Still quite fun on a windey descent or drag racing for the county line. COMFORT + EFFICIENCY + STABILITY + SPEED = A rider who can ride longer, with less fuss and fatigue and with more enjoyment. The ES comes in sizes 46 to 66cm. Steel fork is optional. A complete bike with SRAM Apex and hill-friendly 11-32t cassette is also available to shops in limited sizes. 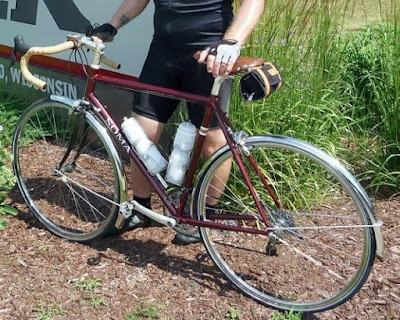 Steve Wagner's 2010 ES with fenders. 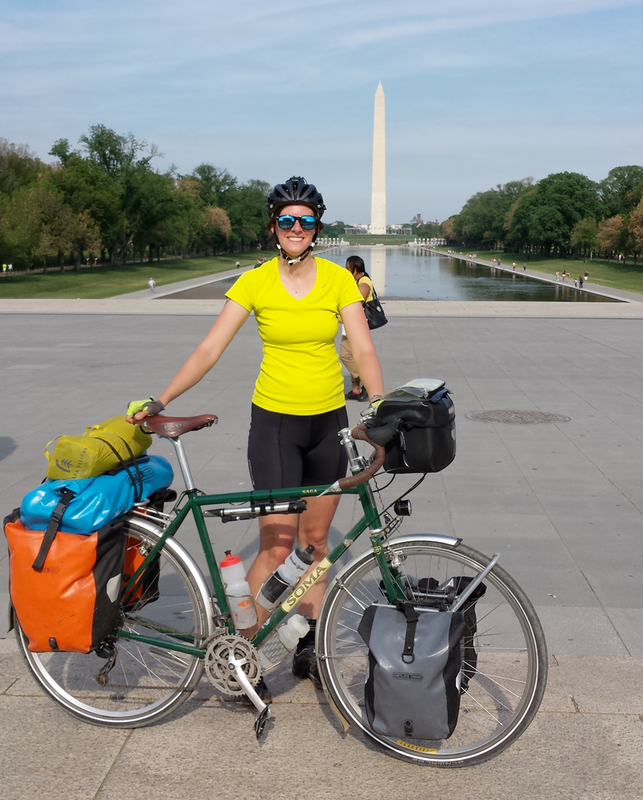 Laurie Chipps says her goal for the trip was: "to encourage others to do what inspires them most, whether the smallest change or a similarly big adventure, not just to be envious. If you put your mind to something and follow through, you can make anything happen." "I do want a career change, possibly empowering people to go on trips of their own or race bikes," Chipps said. "I'm hoping there are a lot of jobs in the outdoor adventure or tourism industry there. And if I can't find a job, Chicago will always be here." Chipps has saved money for a year and gave away almost all of her furniture. Her last day of librarian duties was April 10, and this week she turned in her apartment keys. She is currently on Day 53 of her ride near Pueblo, CO (where the sunset below was captured). We wish her the best. She is blogging about her experiences here. Handpainting Demo of Crane Bicycle Bells from somafab on Vimeo. As you know art isn't easy. Though some artists sure make it look easy. Here is Nami, the artist who hand paints those exquisite Crane Suzu bells showing us how she does it. These bells come in 10 different classic Japanese design. 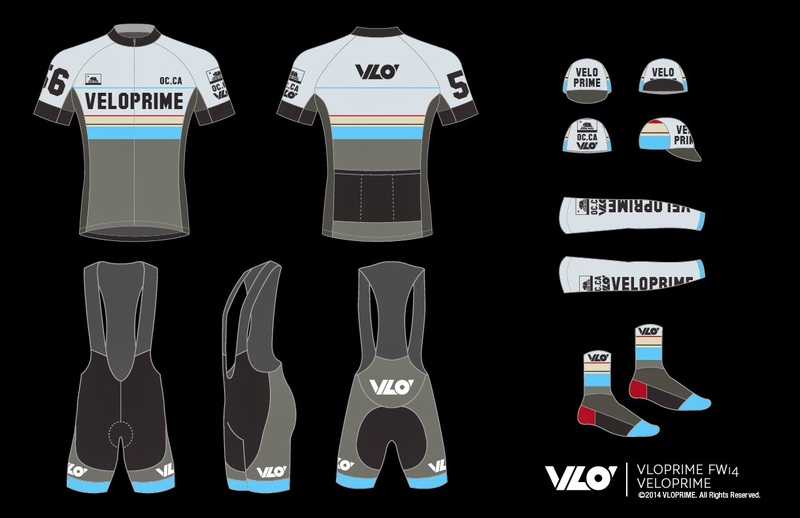 Available in bike shops all over and on our SomaFab Store. My personal favorite is the Japanese maple. The Gator Bar Can Swallow the Junebug Bar! We are introducing a fun new dirt drop/alt bar called the Gator. It's wide. It's alternative. Offer extra leverage. Lots of room in the grip area. And the 190mm grip area tapers from 23.8mm to 22.2mm, so it can take mountain grips and flat bar levers. Will take aero levers, too. 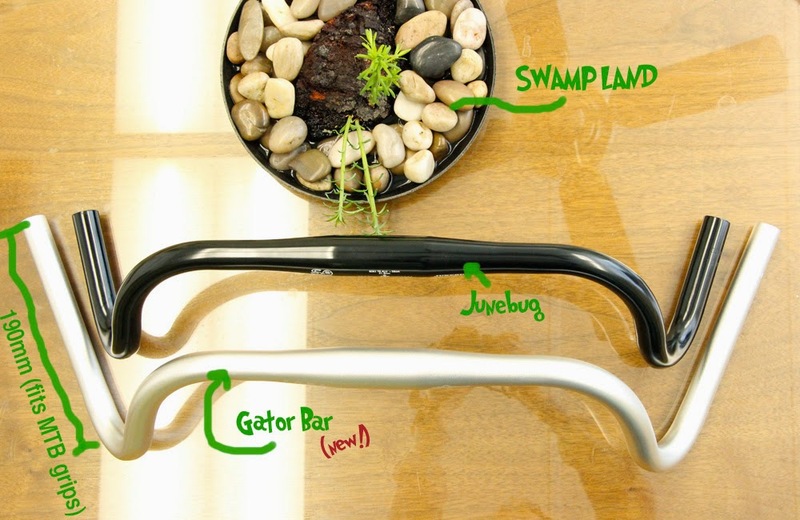 The Gator's reach and bends are similar to the Junebug bar (and its 26.0mm cousin, the Portola). There is a a little more flare in the drops. Not sure how to convey its exact "drop", since we usually run these bars with the drops angled, so it depends on where you position your hands and what angle you set the drops in. We expect some folks would maybe trim the drops down if they don't need all that space, but if you wanna run grip shifters, this is your ticket. The Juice (29er) and B-Side (27.5er) hardtails are now available with a split Tange Sliding Dropout for compatibility with belt-drive systems. Build them SS or with Rohloff (or other internal geared) hubs. Colors are the same. The only other design difference is with the drive-side chainstay which has a flat plate to make sure there is clearance for 2.4" tires and the thick Gates front cog. The standard models are still be available. The belt-drive ones are only available in small quantities this year. Stock we have now have a split in the dropout for the belt. 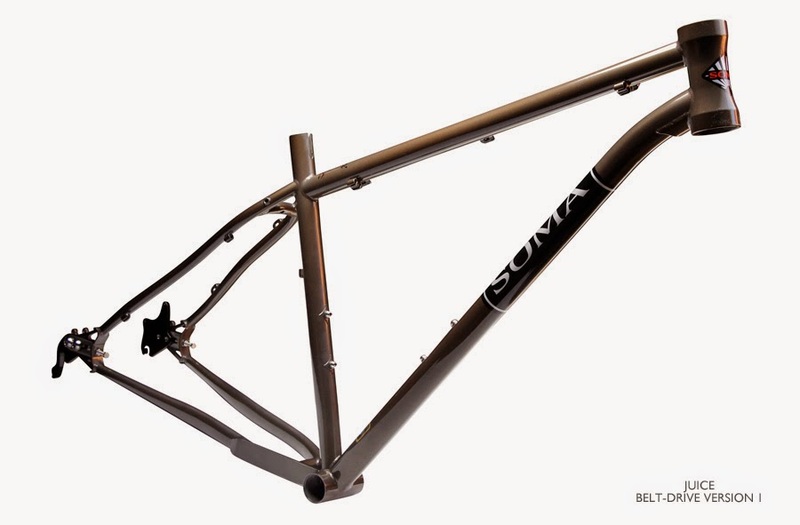 Future 2015 production will have a split in the seatstay. Modified chainstay: Looks different, but quite stiff. Passes Gates/Rohloff frame stiffness test. Bikepacking in the Southwest from Greenwater on Vimeo. From 2014: Bedrock Bags testing some new bag designs in the Cedar Mesa area. 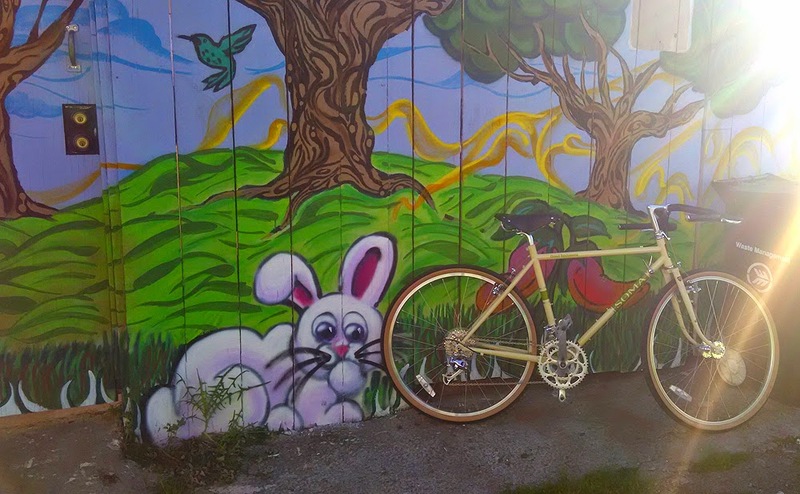 Thanks, Jeff for sending a photo of his Soma Double Cross project. In the middle of January, some of us are already thinking about spring riding. 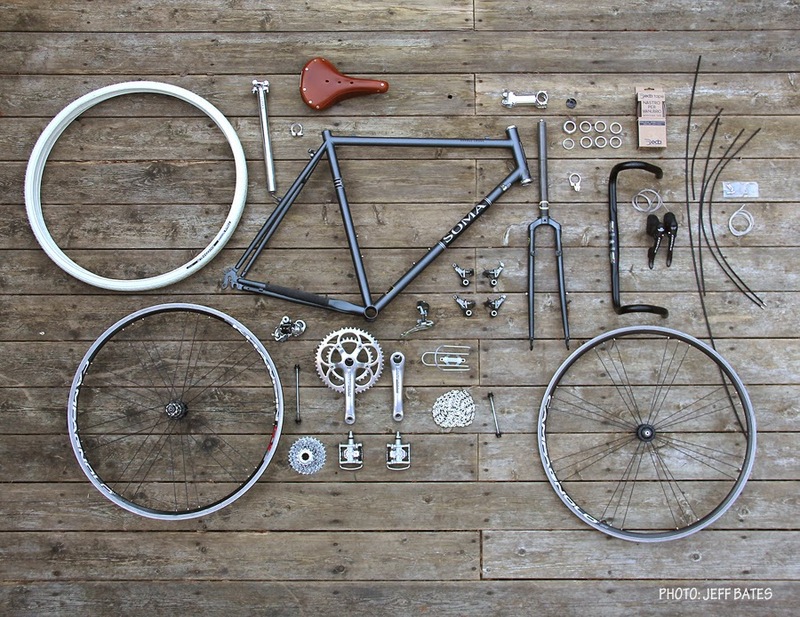 Some of us might be contemplating building a new bike with parts in the garage or more fun yet --- new parts you've been painstakingly collecting over the winter. 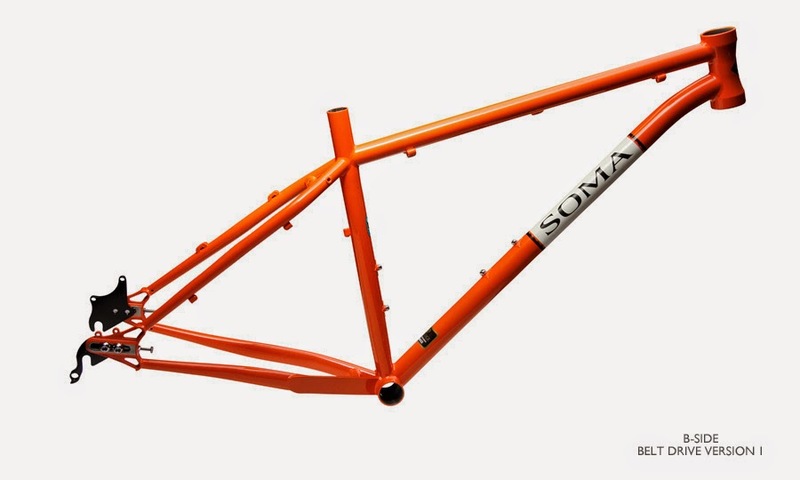 Since we sell mainly frames, we know that a high amount of Soma are project bikes. We found this article in an Australian website pretty helpful. Check it out before you start your next project. 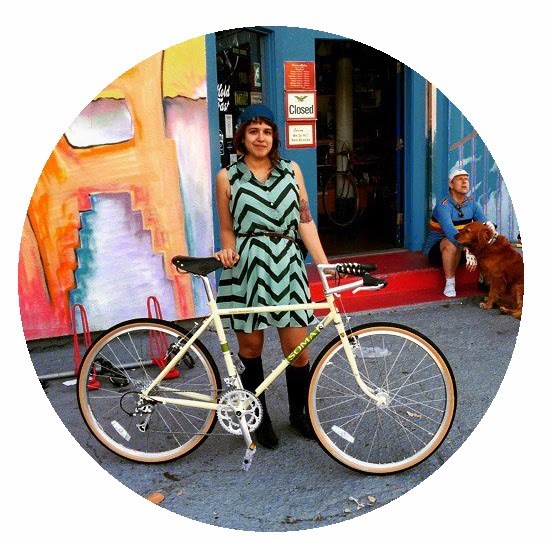 "How to Handle A Custom Bike Build"